The Fluorescents played in Seattle between 1964 and 1969 at The Vault on 2nd and Union, also at The Galaxy, and some casual jobs. We had a great time. Ronnie Pierce was the manager of The Vault. We've recently brought a couple of the guys out of retirement, and we're playing again. We hope to be playing again soon in Seattle. I would like to submit an old Yakima rock band which had alot of impact in the early to mid sixties. They were called The Fluorescents. I recently met up with one of the members, Chuck Gregory, and told him about this website. When I was 14 I went to a dancehall in Roslyn, WA and listened to these guys play. Afterwards I was so jazzed up, me and a friend who I was jamming with, formed our own Rock band. I feel they deserve honorable mention. 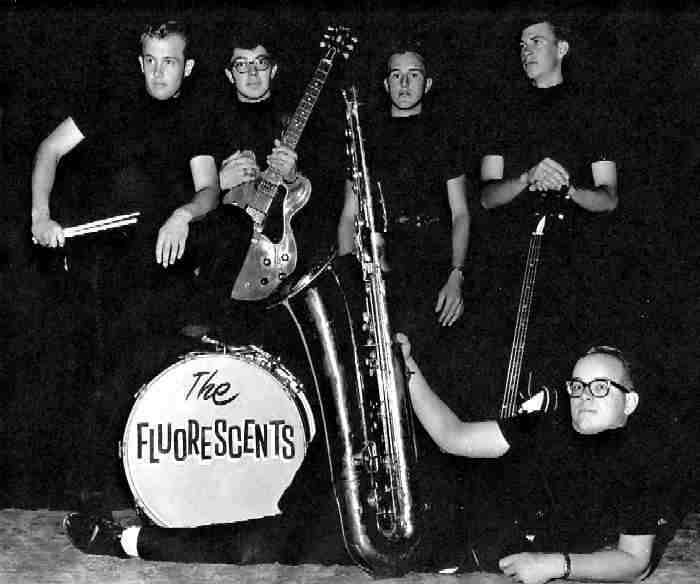 The Fluoresents was the only band I was priviledged to play in. I had the good fortune of reuniting with the band in July of 2004 for a reunion gig with all the local bands at the convention center and it was a blast. Since the reunion I still sit in occasionally for a gig.